Where will the vast majority of this growth continue to happen: in the 24-hour, co-ed model invented and pioneered by Anytime Fitness founders Dave Mortensen and Chuck Runyon. Access and security systems, integrated with billing and payment processing. Member check-in and data management tools, integrated with marketing features. Tanning access systems, integrated with Point of Sale functionality. Vending solutions, cashless design allows members to charge purchases to their member account, creating revenue without staff! Nationwide membership reciprocity program, known as Anywhere Club Access. 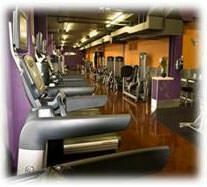 With Anytime Fitness, you can own a fitness club and still have a flexible schedule. Our exclusive systems integration allows you to run a 24-hour operation without additional staff! This gives you an enormous competitive advantage, as payroll is the majority expense incurred by traditional fitness clubs. As an Anytime Fitness club owner, you can devote time to the other important areas of your life, while still allowing members full access to your facility. 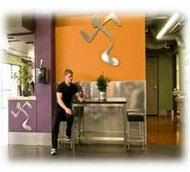 Anytime Fitness offers the convenience people are seeking in a fitness club. Ninety percent of our members live within 1-3 miles of their club. Plus, our Anywhere Club Access clearly adds to the convenience we offer our members, which is the top reason consumers choose one club over another. 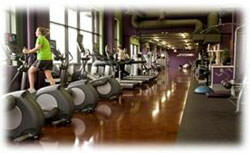 Anytime Fitness offers an affordable fitness option for everyone. In contrast to the low price tag, Anytime Fitness clubs are scrupulously clean and bright, with expertly designed workout areas. Inside each club, members will find cutting-edge equipment that is safe and easy-to-use. Round-the-clock tanning*, in a safe and secure environment, is another prominent feature of our business model. For a nominal add-on fee, members use their access card to activate a tanning session. Safety features built-into our software protect members from lengthy tanning sessions and multiple sessions per day. *Certain states prohibit 24-hour tanning. Since our founding in 2002, Anytime Fitness has maintained robust growth rates. As the world's largest, and fastest growing, 24-hour, co-ed fitness franchise, we continue to break records and receive industry accolades. How does Anytime Fitness remain at the forefront of fitness franchising?? It's about the basics. We offer a proven business model to passionate entrepreneurs. Then, we offer unwavering franchisee support during all phases of club development and ongoing operations. Plus, we continually evaluate the tools and information we provide our franchisees. When a new idea or better option comes along, we implement those tools on a franchise-wide basis. The market for Anytime Fitness continues to expand, for both prospective franchisees and potential club members. Currently, we have more than 2,500 clubs open in North America and a membership base of 2,000,000 and growing! With more than 53% of existing franchisees owning more than one club, the growth of the franchise will be enhanced by those who genuinely know the Anytime Fitness business model and its brand. In addition, we are actively selling franchise locations internationally with over 600 clubs in 18 countries hosting 500,000 members! Anytime Fitness is currently accepting inquiries from the following states: Wyoming, West Virginia, Wisconsin, Washington, Vermont, Virginia, Utah, Texas, Tennessee, South Dakota, South Carolina, Rhode Island, Pennsylvania, Oregon, Oklahoma, Ohio, New York, Nevada, New Mexico, New Jersey, New Hampshire, Nebraska, North Dakota, North Carolina, Montana, Mississippi, Missouri, Minnesota, Michigan, Maine, Maryland, Massachusetts, Louisiana, Kentucky, Kansas, Indiana, Illinois, Idaho, Iowa, Hawaii, Georgia, Florida, Delaware, Washington, D.C., Connecticut, Colorado, California, Arizona, Arkansas, Alabama, Alaska. Anytime Fitness is also currently accepting inquiries from Canada and outside the U.S., but not from the European Union.